In 2010, the Convention on Biological Diversity developed a new strategic plan to enhance international efforts at stopping degradation and promoting sustainable use of the world’s biological heritage. These twenty ‘Aichi Targets’ on biodiversity have been set for attainment by 2020. Domestic and international tourism and visitation to protected areas is significant, growing, and can generate both positive and negative impacts for biodiversity in reaching the Aichi Targets, especially Target 11, which focuses on protected areas . This issue of PARKS looks at the potential contributions to achieving the Aichi Targets from tourism and visitation. Tourism is highly relevant to biodiversity conservation and protected area management and planning, and in addition to Target 11, can contribute to several other Aichi Targets. 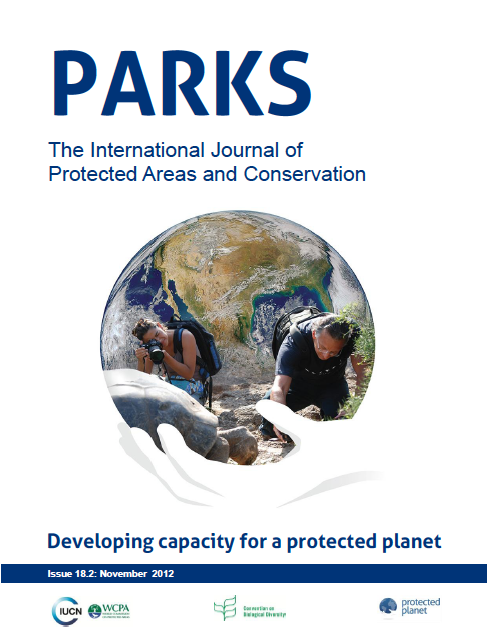 Authors in this issue explore how, for example, tourism can help achieve public awareness of biodiversity values and opportunities for conservation, keep impacts within safe ecological limits, increase global coverage of protected areas, and promote fair and equitable sharing of benefits from tourism and biodiversity.